Missourians, you have 28 more days to comment on MSIP 5. And if you don’t know what that acronym means, then you’re not a public school administrator. It stands for version number five of the Missouri School Improvement Program, which is the set of rules the state education department uses for district accreditation. The current MSIP 4 is the set of rules the State Board of Education consulted when they decided to remove accreditation from the Kansas City, Missouri School District last month. MSIP 5 rules are much more rigorous. A previous version of the proposed MSIP 5 rule that was open to public comment last spring proved controversial, so the Department of Elementary and Secondary Education (DESE) revised it. The revised version is the one that opened last Monday for comments from Missouri citizens, educators, business people, civic leaders and parents. Statewide, a number of education organizations criticized DESE for not seeking their advice in drafting the first version of MSIP 5. Therefore, during the late spring and summer, DESE asked for more input. Five advisory committees across the state — including one in Kansas City — had an opportunity to review the rule and suggest revisions. Kansas City’s committee included high school students, teachers and administrators from the Blue Springs, Independence, Hickman Mills, Kansas City, Lee’s Summit, North Kansas City and Raytown school districts. Other committee members included business people, college educators, parents and state legislators as well as public school representatives from outside the metropolitan area. 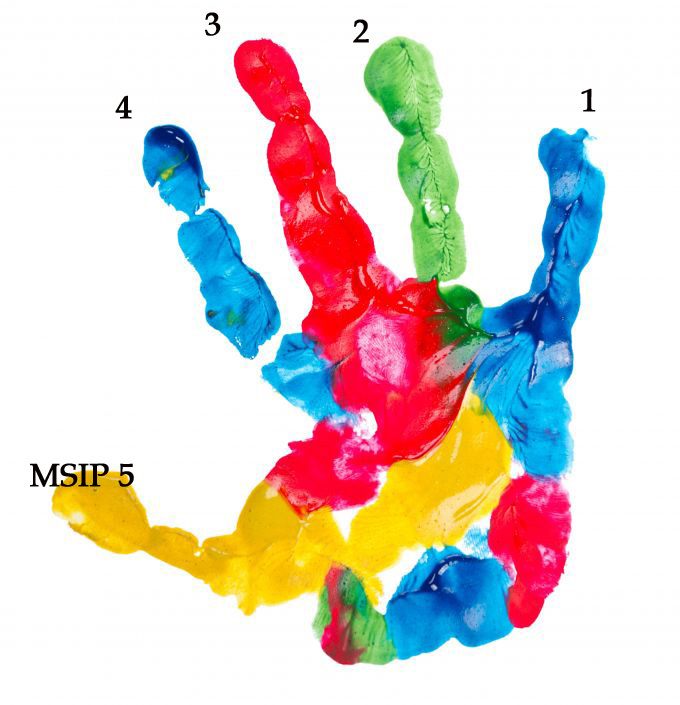 The revised MSIP 5 incorporates some — but not all — of the revisions suggested by its critics. During the state Board of Education’s August meeting, they agreed to revisions such as reducing the number of standardized tests students would be required to take. However, representatives of the Missouri State Teachers Association (MSTA) have voiced concerns that this revision did not go far enough. MSTA is concerned not only about the number but also about the content of these tests. According to Becky Odneal, MSTA consultant and former state education department employee, MSIP 5 appears to require schools to test student understanding of information they have not had the opportunity to learn in class. “If we are going to assess students on something, we should at least give them the opportunity to learn it before giving them an assessment,” Odneal said in a podcast released by the MSTA. Also in the podcast, Odneal expressed concern that the additional core courses such as chemistry and physics that would be required by MSIP 5 might reduce or eliminate career education courses for students — including those with disabilities. Many of these students are not necessarily college-bound and need to learn life skills to obtain jobs paying decent wages. Career education, Odneal said, keeps many of these students in high school who might otherwise drop out. In addition to worries about student retention, Odneal said the MSTA is concerned about job retention for educators who are not certified to teach subjects with tests required by MSIP 5. So many new classes are required that student schedules might not have room for electives. It may be possible to incorporate required subject matter such as algebra into elective classes such as woodworking, she said, but the teachers would not necessarily have the certification to teach that additional content. “The resource and process standards state required plan time, class size, music, art and physical education for elementary students, student to counselor and student to librarian ratios, as well as other issues,” according to information available on the MNEA website. Joining the two teachers’ associations with questions about MSIP 5 is the Missouri Association of School Administrators (MASA). Posted on their website is a list of concerns. One item on the list is a question about how the state education department expects schools to pay for additional standardized testing when districts are having trouble affording basic services such as transportation. MASA challenged Missouri legislators to make the state among the top ten in education funding if they wish to be among the top ten in academics. Other education organizations objecting last spring to the original version of the MSIP 5 rule included the Education Roundtable, the Gifted Association of Missouri, the Missouri Association for Career and Technical Education, the Missouri Association of Elementary School Principals, the Missouri Association of Secondary School Principals and the Missouri School Counselor Association. After the conclusion of the 30-day comment period (which started on Monday, Oct. 3, and is required by statute), the State Board of Education plans to approve a version of MSIP 5, probably during their December meeting. The board will meet Thursday, Dec. 1, and Friday, Dec. 2, in Branson, Mo. After approval, districts will have two years to make instructional and administrative changes before being required to meet the new MSIP 5 standards for accreditation renewal. According to DESE, citizens may submit comments about MSIP 5 online or through the mail. Mail comments to: Missouri Department of Elementary and Secondary Education, Office of Quality Schools, P.O. Box 480, Jefferson City, MO 65102-0480. For more information, go to http://www.msip5.com/.